They say you can’t always trust what you see. In the case of a new education ad campaign hitting the airwaves, that’s definitely true. 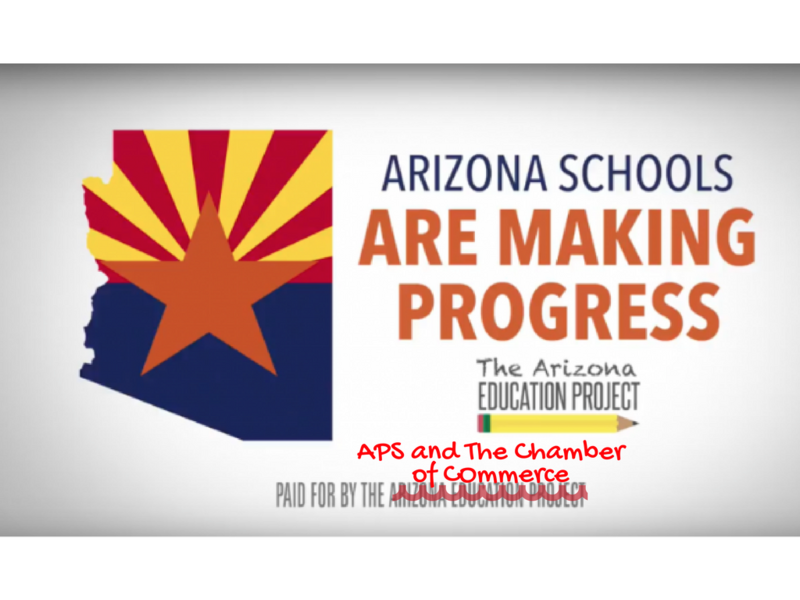 A nonprofit called the Arizona Education Project claims it’s led by Arizona moms, when in fact its biggest funders are APS and the Chamber of Commerce. Surprise-Both are big supporters of Governor Doug Ducey. They’re dropping six figures on its first ad blitz about how amazing Arizona schools are. But the ad conveniently leaves out the fact that our schools have been deliberately underfunded for years under Republican leadership. Will you donate $20 to help us run our own ad telling the truth about public education in Arizona? It’s little more than a thinly veiled PR campaign to help Governor Doug Ducey and to trick Arizonans. The facts speak for themselves — in his first year as Governor, he cut education spending by $352 million. His newest budget for Arizona schools is still $950 million short of what we were investing a decade ago. This is where you come in. We’re making our own ad to fight back against Ducey’s education lies and tell Arizonans the truth. But we don’t have a six-figure budget for slick ads. We won’t let Gov. Ducey and his Republican donors lie about how they’ve dismantled public education for our kids and pushed teachers out of our classrooms. Help us hold him accountable!